lands they settled in France around Alsace Lorraine. Badenviller. Jacob married Janette Simon and had a son named Georges Julian Biltz born in 1843 in Paris. Harry Biltz as a Catholic. joined a youth organization called the Agape Force. the Feast Days of Israel. selves as cut off from the Jewish mindset and culture. with His people – the Jews. up through history. 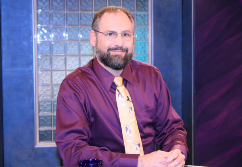 He’s spoken at congregations & meetings around the US and is a frequent visitor to Israel.